If you can’t find what you’re looking for, our team is here to help. ApexData is an iPad application where you can work with us to customize your own survey tool. ApexData offers efficient data collection, instant feedback, intuitive reporting tools, automatic record syncing, and reliable security. Where can I download ApexData? ApexData is available on the App Store. How much does ApexData cost? The app is free to download. The cost of developing and supporting a survey tool is dependent on many different factors – contact us to get a quote. ApexData and all of our work at Apex Apps is HIPAA and FERPA compliant, and all of your data is encrypted. 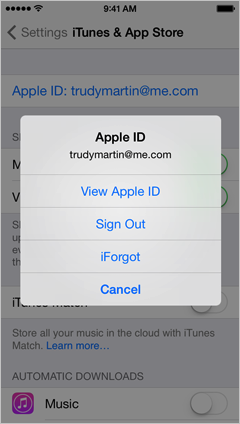 How do I log out of an Apple ID? 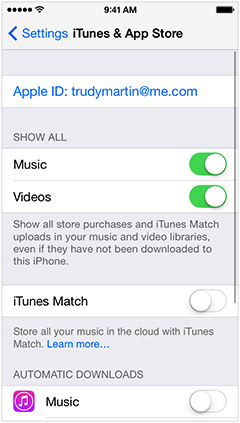 From the home page, tap Settings > iTunes & App Store. 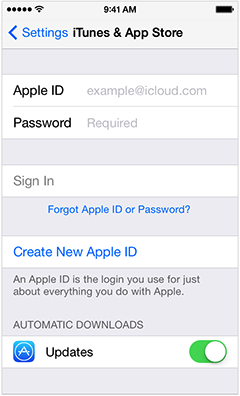 You can now enter your Apple ID and password, and tap Sign In. If you don’t have an Apple ID, tap Create New Apple ID. What are the technical and staff requirements for the CDPHE School-Based Health Center program? Automated Export to CSV A data management system that automatically generates a file in a universal search format such as Character-Separated Variable (CSV), consisting of one record per line with fields separated by a delimiter (comma, tab, or other special character). Excel files, for example, are in CSV format. Multiple Files Acceptable The data management system may export in more than one data file. For example, some systems produce a demographic data file and a separate file with visit data. This is acceptable as long as each file contains a primary key, such as a unique patient identifier. This allows for linking data across multiple files. In the case of multiple providers, separate files for primary care, behavioral health, and dental services are also allowable, and patient name and date of birth can be used for linking data across files. Data Dictionary Each SBHC contractor should provide a data dictionary that specifies the naming of fields, which are the column headings in the spreadsheet (eg, Date of Birth vs DOB) and format/values for those fields, which is what are in each cell (eg, DOB format is 01-01-2005 vs 01/01/05, or Gender, eg, value 1=Male, value 2=Female). Primary Technical Contact Someone with the expertise and availability to access the data and generate the export file. Primary Clinical Contact Someone who understands clinical procedures as well as charting and coding. Primary IT Contact Someone with the sponsoring agency with the expertise and time to support the data export. Primary EHR Vendor Contact Someone with the EHR system vendor that can answer questions about system functionality and capability. What costs are covered with the new data warehouse? Will there be funding to cover costs such as interfaces and reporting functions with the SBHC's EHR vendor? What data are required for the CDPHE School-Based Health Center Program? What patient data is being sent to Apex? Is parental and/or student consent necessary for school-based health centers to send the visit data with PHI to Apex? No. A business associate agreement between Apex and each SBHC’s medical sponsor and mental health partner is established, which allows for the release of PHI under HIPAA. Specifically, there are several permitted uses for which a covered entity may disclose PHI without consent. First, for treatment, payment, and health care operations. Several criteria are met under health care operations, including use of data for quality assessment and improvement activities, medical record review, and planning and development. Second, public health activites are also a permitted use that does not requre active consent. Administration of the School-Based Health Center Program is a public health activity under the CDPHE. How can SBHCs be assured that the data will be transferred and housed securely in compliance with HIPAA regulations? Our business associate agreement outlines the assurances and safeguards we take to secure PHI as required by HIPAA. Data are secured through encrypted, password-protected transmission and within the Apex Data Hub, which meets all security requirements. Our staff members are HIPAA certified, and we conduct all recommended audits and maintain all recommended written policies and procedures for administrative, technical, and physical safeguards. What is being measured with the visit data? Patient and visit level data allow for analysis between and among these data elements. Would use of a data warehouse eliminate the need for the Colorado Department of Public Health and Environment service data reports and work plan reports? The data warehouse would simplify and potentially eliminate the service data and work plan reports because much of the information would be collected through the visit data export. The plan is to eventually satisfy all reporting requirements through the use of the data warehouse. Is the data being collected manageable? Yes! We have proven so with the New Mexico SBHC program and under SHCIP. The entire data set is included in the CCR, which actually includes many more data elements. The CCR is a national electronic document exchange standard for sharing patient summary information. Why is PHI data needed instead of collecting aggregate data from the SBHCs? Protected Health Information data provides the most granular level of detail, including assuring unduplicated patient counts, which permits a more powerful data analysis. PHI is needed for data integrity. Confidence in the data set is built by gathering and using data in a granular form. It allows staff to construct, deconstruct, and compary data across patients and SBHCs in ways that re not possible with aggregate data. The evaluation is designed to be agile, robust, and responsive. Broad evaluation questions lead to more specific evaluation questions – ones that cannot be initially anticipated. Using a simple foundation of a minimum data set creates a data collection baseline for all sites and from which analysis can be expanded, if needed, and agreed upon. Aggregate data does not allow for a deep analysis withing an SBHC nor across different SBHCs, thereby limiting the program view across the state. Additionally, for any SBHC using the eSHQ, PHI is needed to link to the eSHQ and provide site-specific internal reports to compare student self-reports to actual services received. See the data decision flowchart. Note: PHI will not be disclosed beyond the covered entity that submitted it, and evaluation reporting will not breach PHI. CDPHE does not have access to, nor a need for, PHI. What if our data are already linked by a primary identification across primary, behavioral, and oral health care patient records? If an SBHC has already linked the data and the SBHC is not using ApexData (eSHQ, PHQ-9, SCARED, etc) to collect patient information in the clinic, then an SBHC can use the Limited Data Set option, which suppresses names and identifications. It is still PHI, but with a lower level of exposure. What advantages, if any, are there to collecting and using the visit data for evaluation over using claims data? Claims data is from a billing perspective, not a patient visit perspective. The visit data is more comprehensive. Unlike claims data, the visit data includes visits billed but not visits paid, visits not submitted for reimbursement (such as confidential visits), and visits of uninsured patients and private pay patients (that may or may not be submitted for reimbursement). Additionally, Medicaid claims data is limited to only claims paid by one public payer source. The visit data is more readily available for evaluation and quality improvement purposes. There is a lag time and potential cost to getting Medicaid claims data. The visit data has the potential of capturing unbilled services not otherwise captured in claims data, such as activities with recognized CPT codes (and corresponding diagnosis codes), including follow-up telephone calls, case management, care coordination, and group health education. The collection and analysis of visit data is an important aspect of tracking services and improving the quality of service delivery. It is also necessary for program evaluation and accounting for state dollars spent for SBHC servies. Visit data analysis can assist SBHCs in meeting the requirements of Meaningful Use Adoption of electronic health records. How will sites send the visit data to Apex and what are the challenges? The visit data is transferred by school-based health center staff (or lead agency staff) from their electronic health record into an Excel spreadsheet. Some SBHCs, with IT support from their lead agencies, have created a query to generate the transfer to the Excel template. The spreadsheet is then password-protected, which encrypts the file for secure transmission to Apex, and we in turn import it into Apex Data Hub, which serves as the web-based data warehouse for the SBHC evaluation. We will provide each SBHC site with an Excel spreadsheet template to facilitate the export process. Once the process is established, generating the export is routine and automated and is a low burden on SBHC/lead agency staff. We work directly with each SBHC to address challenges and improve the process to increase efficiency and accuracy. As health information exhcange becomes more common and sites adopt EHRs, the export process is becoming easier. As data sharing continues to evolve, the export-import process will likely be replaced as EHRs interface directly. The sites that are unable to automate a query from their EHRs to populate the Excel visit data spreadsheet have to conduct manual data entry, which is time consuming. Recently, two SBHCs used CDPHE funds to pay their EHR vendor to create a template so that the data fields could easily be extracted from their EHR. Funding for this purpose may be a likely alternative for all SBHCs currently unable to automate and EHR query, contingent upon available funding and the reasonable cost of creating the template. Does the visit data tell the story of what school-based health centers do? The SBHC story is only as good as the data provided by SBHCs. For many SBHCs, the use of electronic health records is new. Becoming familiar with the features of the EHR and assuring that all the critical data fields are accurately captured takes time to learn. Under SHCIP, significant improvements in the visit data were achieved since the beginning of the project given our ongoing technical assistance and quality improvement support. Has Apex coordinated the attendance and grade information into the data? Attendance and grades are secondary sources that may be incorporated at the school level, not the individual student/patient level. How does this effort fit into other statewite data collection projects and systems, particularly CORHIO/QHN? The HIE is regularly monitored with an eye toward efficiency, if not consolidation. The data sets are comparable, at least with regard to the CCR. All the required SBHC data elements are in the CCR. Inter-operability standards will support a more automated transmission process. However, CORHIO and QHN are not currently ready to accept SBHC data. Part of the issue is a matter of priority, and another issue that requires resolution is privacy concerns for the adolescent population. The New Mexico HIE is grappling with how to accept SBHC data, integrate it with other PHI, and support different levels of access – all while protecting privacy. Meanwhile, the SBHC evaluation is set to go now, so waiting for CORHIO/QHN or dependence on their system is not prudent. Will ApexData and the data collection tools (eSolutions) integrate with my electronic health record? Currently, eSolutions provide a PDF report using Box.com that can be uploaded into the EHR as a file/image (JPEG). THe actual data elements from eSolutions do not currently go to the EHR, although that is a possibility for the future once EHRs are ready to receive the data. Will there be technical support for use of ApexData? You bet. Apex provides a high level of personalized tech support for all of our clients. We will work closely with each SBHC to ensure the success of the clinic. Who provides the iPads and other equipment for the use of ApexData? The Colorado Department of Public Health and Environment provided funding to all sites that were interested in using ApexData. CDHPE covered the costs of licensing as well as the equipment during the 2014-2015 fiscal year. Can we install ApexData on our existing iPads? Yes. ApexData is compatible with iPad 2s and all later generations. These iPads need to be dedicated for clinic use only. The iPads provided are not for personal use.